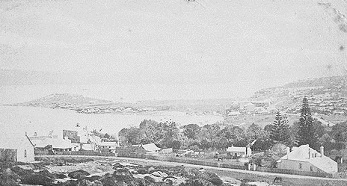 Searching for your family history and have ancestry in New South Wales? A great genealogy tool, these indexes have been transcribed from an Appendix to the Report from the Select Committee on Crown Lands, New South Wales Legislative Assembly – Votes and Proceedings 1854 (pages 1240-1269). Districts listed in this database are: Albert, Bligh, Burnett, Clarence River, Darling Downs, Gwydir, Lachlan, Liverpool Plains, Lower Darling, Macleay River, Maneroo, Maranoa, McLeay, Moreton, Murrumbidgee, New England, Wellington and Wide Bay. (1) Return of Crown Lands held under pasture and promise of lease. The number of stock, as given in this return, for each run, is taken from the assessed grazing capabilities of the runs, as far as they have been returned. The government is not in possession of the number actually depastured. The information provided in each of the six tables is not consistent; hence, some fields have data in only a small number of entries.